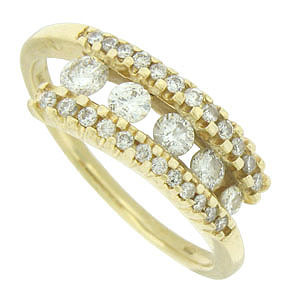 Intercepting bands of fine faceted diamonds race towards each other in sparkling vines of yellow gold. Five dazzling round cut diamonds are held by the diamond frosted bands. 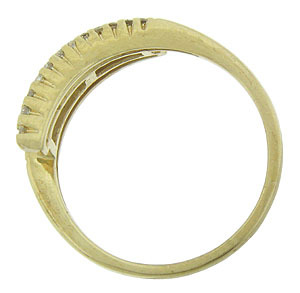 Fashioned of 14K gold, the ring measures 2.71 mm in width. Size 7. We can re-size.